What is a remote application (seamless application)? When you start a RDP connection, you usually see the entire desktop of the server. Starting with Windows 7 and Windows Server 2008, Microsoft has implemented the function "TS RemoteApp”. These RemoteApp programs will also run on RDP - but they blend seamlessly into the local desktop. You have to imagine that the yellow marked area appears transparent. Therefore the users will get the impression that this application is running locally on their computer (the remote computer's desktop will not be displayed). What is the difference between TS RemoteApp and TSX RemoteApp? 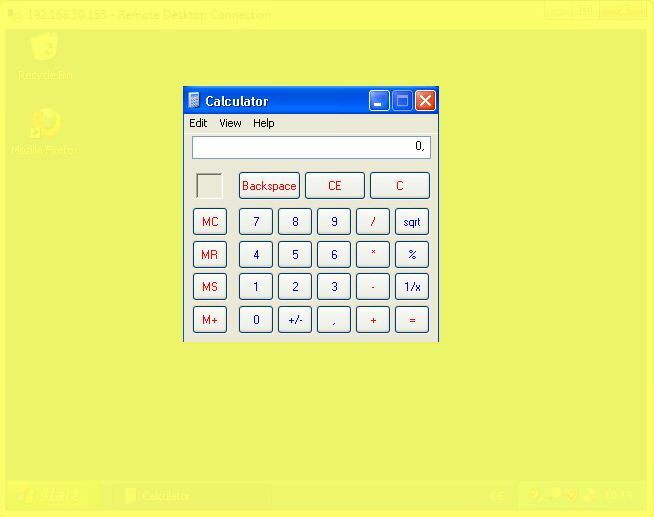 For all "other" operating systems Thinstuff has developed a completely separate "Seamless-RDP" product called TSX RemoteApp (with "X") . 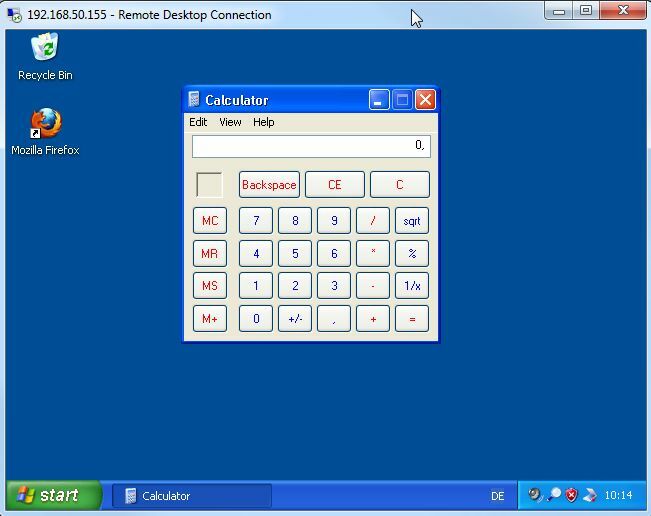 Example: If you connect to Windows 7/2008/2008 R2 machine and you want to have a seamless application you can use Microsoft's TS Remote App and you don't need to install our TSX RemoteApp solution. Note ! TSX RemoteApp does NOT support Windows 8/8.1/10 nor Windows Server 2012 (R2)/2016 ! If you connect to a Windows Server 2003 machine (or another operating system which is not supported by Microsoft's TS Remote App) and you want to have a seamless application you'll need to install our TSX RemoteApp Server. In addition you can find our own free RDP Client in the Thinstuff TSX RemoteApp Installer package. You can use it independently from TS(X) Remote App and it offers additional functions compared to Microsoft's RDP Client. If you install our TSX RemoteApp Server Software on a server machine it will be able to understand both protocols. The newest Microsoft Remote Desktop Connecticon client just understands Microsoft's TS RemoteApp protocol. With TSX Remote App Server installed on server side and using the Thinstuff TSX Remote Desktop Client on the client side you'll be able to use both protocols. If you use e.g. a Windows 7 machine as Terminal Server you don't have to install the TSX RemoteApp Server (on your Windows 7 machine). You also don't have to install the Thinstuff TSX RemoteApp Client on the workstation. Reason: Windows 7 and the Microsoft's RDP Client are both able to "speak" TS Remote App. However, Microsoft's Remote Desktop Client offers no possibility to configure or activate the TS RemoteApp mode in the graphical user interface. You have to build your own .rdp file (with notepad,...). For that reason it is convenient to install the Thinstuff Remote Desktop Client on your workstation because you will able to manage both TSX RemotApp and TS RemoteApp applications in a graphical user interface.